Team R2-D2 had a successful 2012, taking their Robotics IST elective major project in Robot Soccer all the way to the Australian Open where they finished 3rd thereby qualifying for the World Robot Olympiad (WRO 2013) in Jakarta in November. The team committed to use their lunchtimes to redesign their robots and to improve the coding for the Artificial intelligence needed in order to competitive on the world stage. 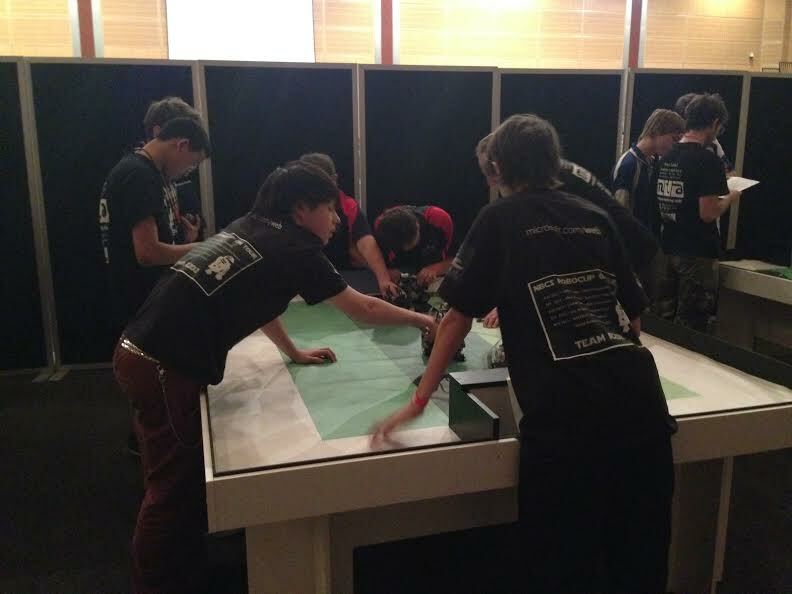 They also committed to using the NSW and National competitions to test their redesign and code. The first test came at the NSW competition at UNSW in August which proved to be very successful as NBCS retained their NSW title first won in 2012. NBCS retain the NSW title. Quentin & Cody Lovett, Niall Powers, Lachlan Stone and Rachel Coster as referee. Aaron Watson was missing from the photo. Next up in September at the start of the school holidays was the Australian Open held at the University of Queensland in St Lucia, Brisbane. The team had to compete without Cody Lovett (the brains behind the AI coding) who was participating on a GO mission trip with NBCS in Cambodia. Cody’s younger brother Quentin stepped up to the mark to maintain a consistency of excellence in coding, analysis and problem solving provided by the Lovett family. 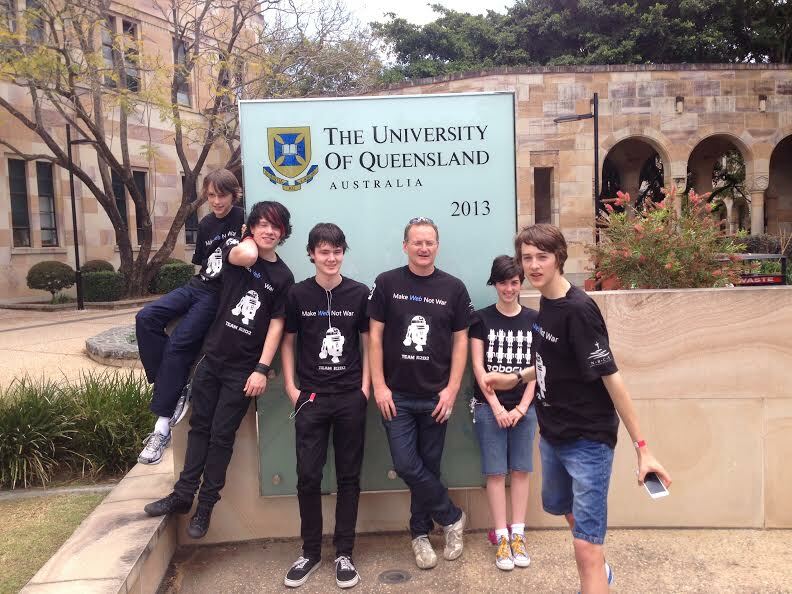 Team R2-D2 at UQ (University of Queensland) for the 2013 Australian Open in September. From left Quentin Lovett, Aaron Watson, Lachlan Stone Liam Dunphy (teacher/coach), Rachel Coster (referee) and Niall Powers. The constantly improving design and code proved very successful. 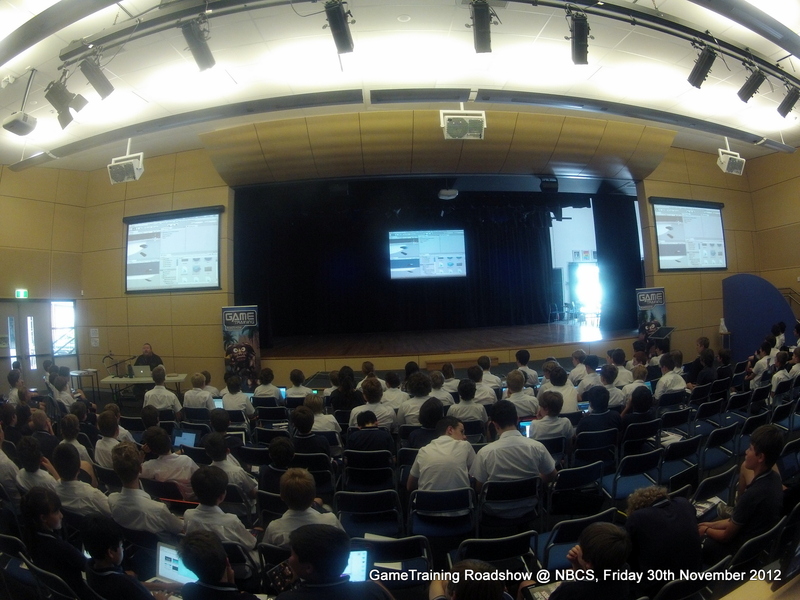 In the lead up to Brisbane, the team used NBCS Showcase evening to demonstrate their success by allowing keen challengers to remotely control a robot against the AI programmed robots. The final score over the evening was very close indeed with human remotely controlled robots just about scoring more goals than the AI robots. 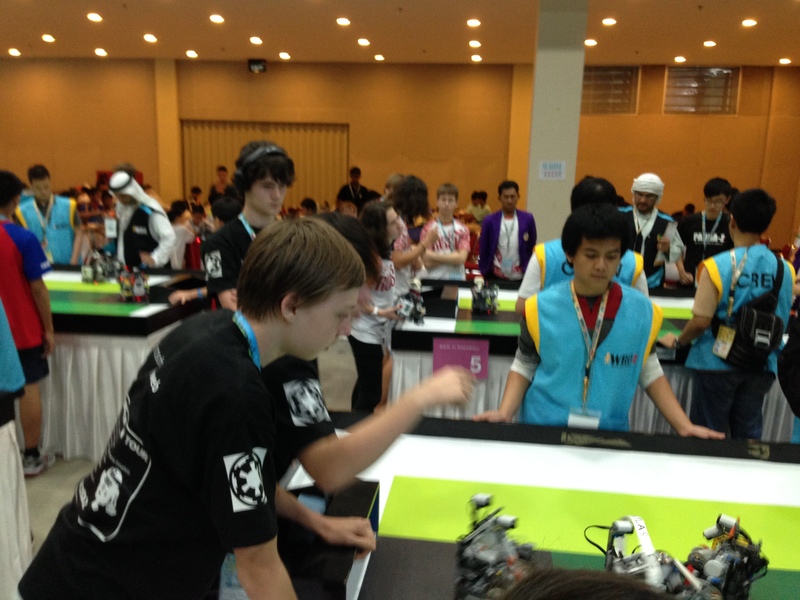 At the competition Team R2-D2 won all their games in the qualifying rounds including a keenly contested game with RoboCraft from Trinity College Collac from Victoria who also travelled to Jakarta as part of the Australian team. R2-D2 taking on their Australian colleagues RoboCraft from TCC in Victoria.R2-D2 came from 2 goals down to win by 3. Team R2-D2 were the 3rd highest ranked team going into the knock-out rounds where they faced Trinity Titans (also from Trinity College Collac) who were reigning Australian champions and also part of the Australian team travelling to Jakarta. In an epic game where the lead constantly changed, Team R2-D2 were leading by 2 with just under a minute to go. Somehow the Australian champions scored 2 quick goals to leave it looking like ending up as a draw until they scored the winner as the final whistle blew. Trinity Titans went on to beat the Korean champions in the final with a Golden goal. They have become very good friends with Team R2-D2 as part of the Australian team. 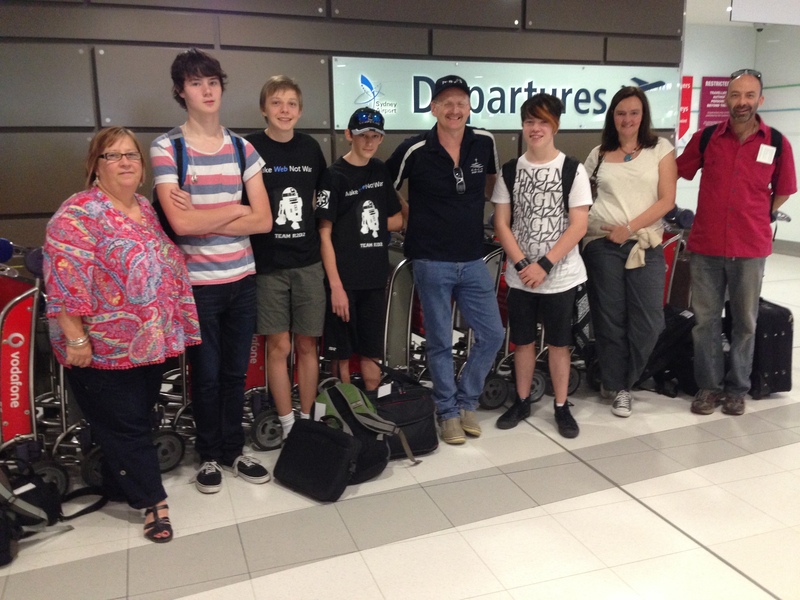 Finally in November, the team flew to Jakarta to represent Australia at the World Robot Olympiad. From left: Jacquie Watson, Lachlan Stone, Cody Lovett, Quentin Lovett, Liam Dunphy, Aaron Watson, Michelle Stone and Peter Lovett. 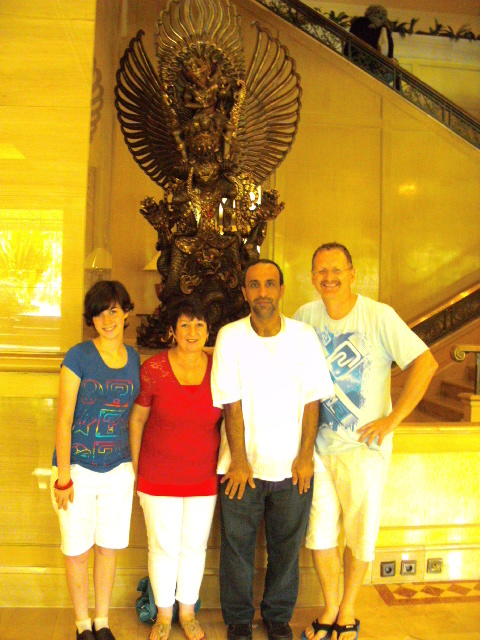 Rachel and Lilly Coster were on an earlier flight. 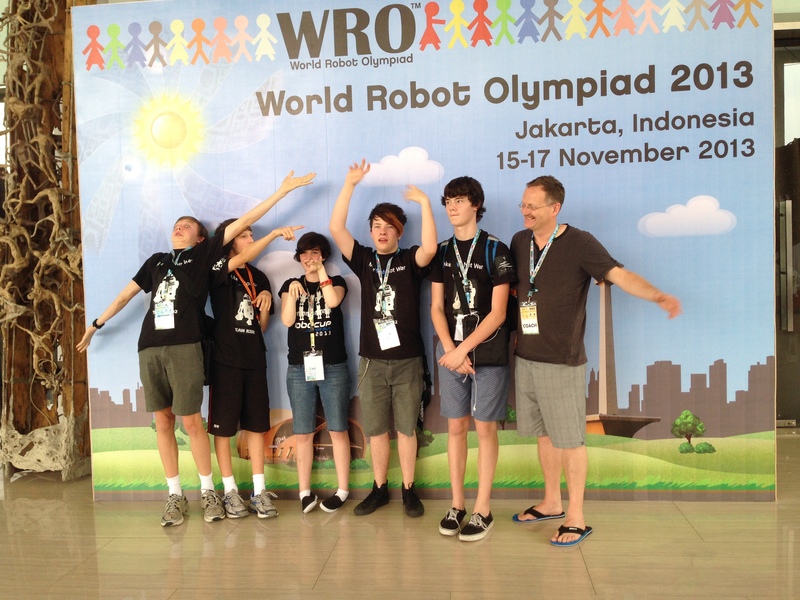 From left: Cody and Quentin Lovett, Rachel Coster, Aaron Watson, Lachlan Stone and Liam Dunphy as the team embark on their WRO adventures at the EcoVention Centre, Jakarta. 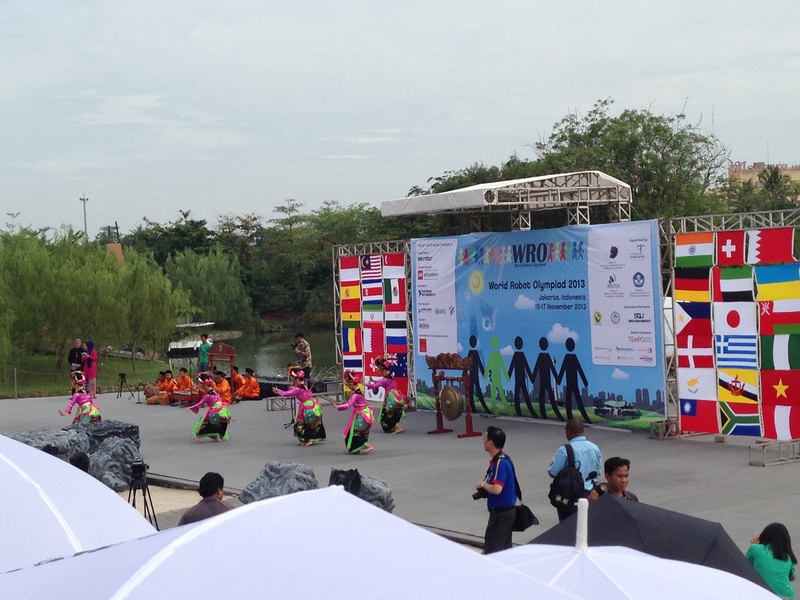 The opening ceremony included some traditional Javanese music and dance. Cody, Aaron & Lachlan in the heat of the competition. They overcame the challenges set by teams from the Ukraine and the Phillipines to set up a qualifying round showdown with Malaysia. Unfortunately they lost this close game 5-3 to finish 2nd in their qualifying group and miss out on final 16 the knock-out rounds. It was the only game they lost at WRO and only the 2nd game they lost in the entire 2013 calendar year. Malaysia went on to win the World Cup final beating the fancied Russian team by 3 goals in the final. The World Cup final had an wonderful atmosphere with fans chanting for their teams. Malaysia deservedly won the game by three goals. 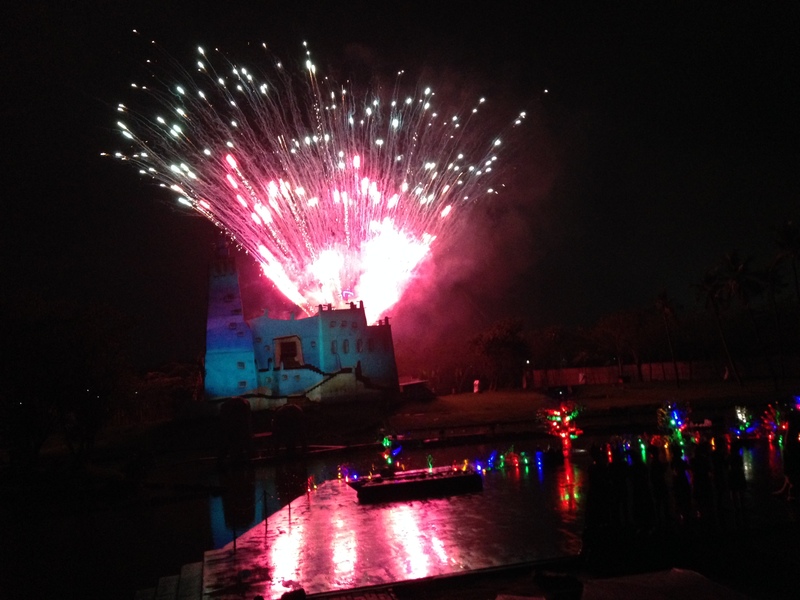 The Fireworks and Laser show at Fantastique for the closing ceremony. 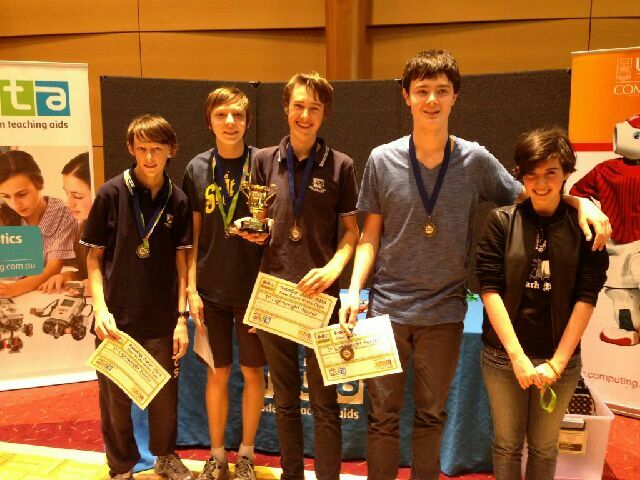 Congratulations to Team R2-D2 for a fabulous 2013. The lunchtimes were well worth it!